Now that the month of June has rolled in, my brain has officially gone on vacation mode. I spend most of my days dreaming of tropical destinations, and more importantly – what I’ll be wearing on my beach getaway. When it comes to packing and picking out what to wear for a vacation, I generally stick to things that are lightweight and effortless. I also like to choose things that can be easily mixed and matched which makes life much easier and also makes for a lighter suitcase as well. Assembling your outfits beforehand is also great tip I follow, because you’ll spend less time figuring out what you want to wear, and more time out in the sun where you want to be. 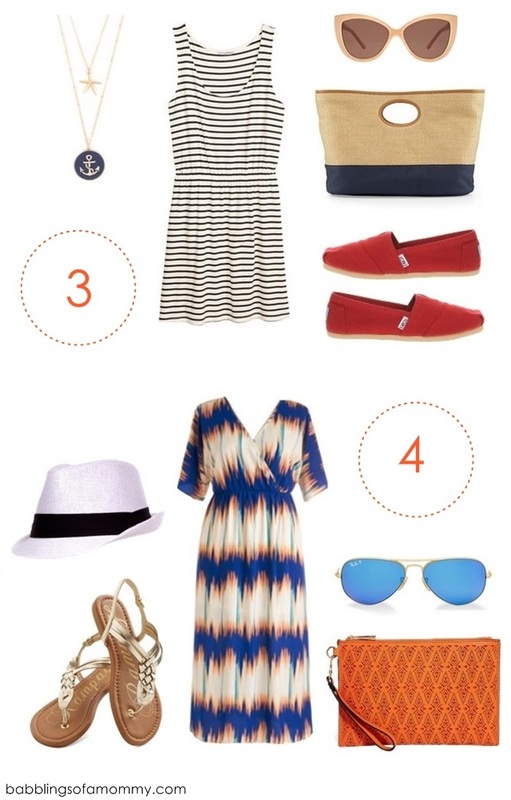 Below are 4 different outfits that pretty much sums up my vacation style. 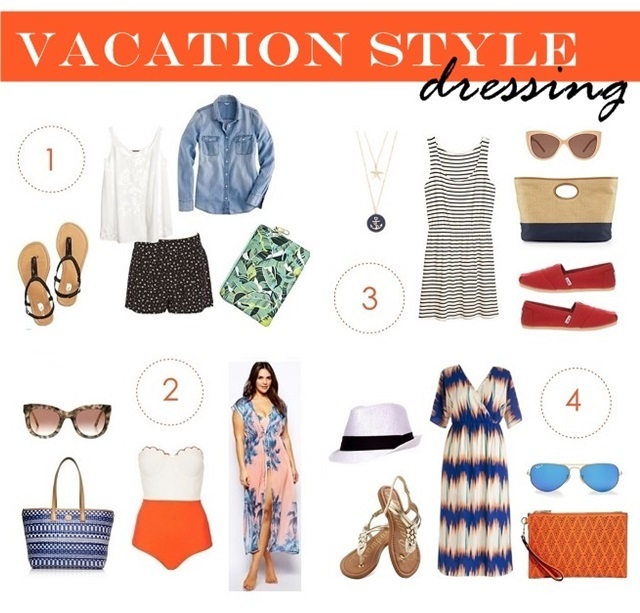 From beachwear to day shopping and sightseeing these effortless getups are all vacay-ready! All I need now is a piña colada and killer tan. I am IN LOVE with that ikat print dress! I have a similar skirt and it just screams SUMMER!! Thanks for linking up girlie..hope you are well.